State Bank of India (SBI) is in the process of closing down nine branches, said its Managing Director Pravin K. Gupta. India's largest public sector lender operates in about 36 countries with nearly 190 branches. A key action point for banking sector reforms thrown up at the maiden PSB Manthan, held last November, was to rationalise overseas operations across all public sector banks (PSBs). Subsequently, in March, the Department of Financial Services (DFS) had asked the state-owned banks to examine their collective 216 overseas operations to enhance cost-efficiencies. 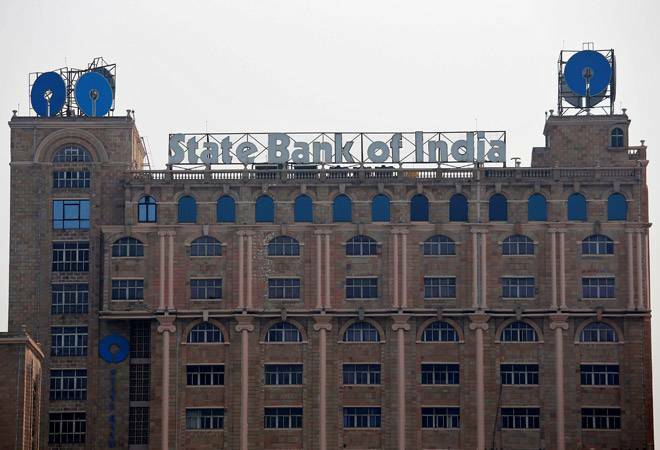 As part of this exercise, State Bank of India (SBI) is in the process of closing down nine branches, said its Managing Director Pravin K. Gupta. India's largest public sector lender operates in about 36 countries with nearly 190 branches. "Capital is generally a constraint for most of the bank sites. Obviously, you want to use your capital at the place where it is best utilised." Gupta told PTI in an interview. He explained that not all the branches in the foreign locations are full-fledged offices. In countries like Bangladesh and South Africa, SBI boasts small branches as well as some retail branches, so "there is need to rationalise them". In fact, Gupta added that SBI was looking to rationalise the foreign offices even before the order came. "As a part of our foreign branch rationalisation, we have closed about six branches already in the last two years. There are nine more branches under the process to be closed down," he said, adding, "Branch rationalisation is an ongoing process. I think every branch has to justify its existence. So unless it is commercially viable, it doesn't make sense for us to be operating particularly in foreign locations." When asked if closing down branches overseas also means having no operations in those locations, Gupta said that SBI will not be exiting such countries. However, it will be closing down small branches or will be merging two-three branches into one. Given the evolving regulatory environment back home, he claimed that currently it is not viable to open many foreign offices. "If you see globally, we are already present in the major centres. I don't think there is any major global centre where we are not present. So the need to go to too many new countries at this point of time is not really felt." SBI is not the only PSB in retrenchment mode. Earlier this year, PSBs had about 165 overseas branches, besides subsidiaries, joint ventures and representative offices. But by March, they had collectively closed down 35 overseas branches and representative offices as part of the clean and responsible banking initiative. For instance, Bank of India, Andhra Bank, IDBI Bank and Indian Overseas Bank closed down their Dubai operations while Punjab National Bank, Canara Bank and Union Bank of India shut their Shanghai offices. Bank of India also closed down operations in Yangoon and Bostwana, while Bank of Baroda shut down its Hong Kong branch. In March, DFS Secretary Rajiv Kumar had tweeted that "About 69 overseas operations had been identified for further examination". So expect more closures in the near future. On the topic of rationalisation of domestic branches post the merger of SBI's six associate banks and the Bharatiya Mahila Bank with itself - with effect from last April - Gupta said that as many as 1,800 branches have been rationalised during the whole year. In addition, 250 offices were also closed down that led to huge cost savings. "In terms of these 1,800 branches and 250 offices, we have seen about Rs 1,000 crore of savings only in the rental income and other expenses. Over the long run, our expectation is that this merger will definitely be beneficial for the bank," Gupta explained. As for the impact of the merger on employees, and the challenge of posting them at right places, Gupta said it took a bit of SBI's time but due to retirement of a lot of personnel as well as the voluntary retirement scheme, there are currently 16,000 less employees than a year ago. "We are also beginning to see all the savings which could not happen earlier due to duplication," he added. SBI may be retrenching overseas, but it is in expansion mode at home. According to Gupta, the bank plans to open about 300-350 domestic branches in the current fiscal, of which almost half are to be opened in rural areas.